Guest contributors Linda Miller and Lucy Hart provide an update on the emergence of ergonomics as a points category in the Leadership in Energy and Environmental Design (LEED) building rating system. Over a decade ago, a coalition of building industry leaders in the U.S. created building design and construction guidelines for the environmental assessment of buildings. The LEED Building Rating System is a voluntary, consensus-based standard that evaluates the environmental performance of a building over its entire life cycle. The primary goal of LEED is to promote building practices that are environmentally responsible, profitable, and healthy for its building occupants, and Miller and Hart explain how ergonomics is gaining a solid footing in the LEED rating system. In Canada and the United States, individuals spend more than 90 percent of their time indoors and are becoming increasingly more aware of their environment and how it impacts their health (Hancock, 2002). Evidence suggests that where we live and work can be clearly linked to our overall health (Srinivasan, O’Fallon & Dearry, 2003). With this growing awareness and concern, a demand has risen to evaluate buildings independently for their environmental and health impacts (CaGBC, 2010). Over a decade ago, a coalition of building industry leaders in the U.S. created building design and construction guidelines for the environmental assessment of buildings (Lee & Guerin, 2009). The Leadership in Energy and Environmental Design (LEED) a green building rating system, was then formed (CaGBC, 2010). The LEED Building Rating System is a voluntary, consensus-based standard that evaluates the environmental performance of a building over its entire life cycle (CaGBC, 2010). The primary goal of LEED is to promote building practices that are environmentally responsible, profitable, and healthy for its building occupants. To date, over 11,000 projects have been certified in the U.S. and approximately 600 in Canada (CaGBC, 2012; USGBC, 2012). To date, evidence suggests that much attention has been given to the environmental impact of LEED buildings, but limited attention has focused on the health impacts for occupants. For example, in a federal study commission in the U.S. examining funding during the period of 2002-2005, it was determined that energy related research received 72% of available funding, while topics focusing on indoor environmental quality only received 2% funding (Baum, 2007). Recently, this was also highlighted in a report completed by the Institute of Medicine, citing the need for increased attention to the impact of green buildings on the health of occupants, since people spend the majority of their time indoors (Institute of Medicine, 2011). A number of studies have highlighted that human responses comprise the majority of the expenses in an office building (Romm, 1994). LEED certification requirements are not static and currently, LEED is in the final phase of its third revision – due out later this year. As part of the generation of the LEED 2012 rating systems, the USGBC has highlighted the need to address occupant experience in LEED rating systems, identifying it as one of its three priorities to be addressed in the revision (USGBC, 2012). To enhance occupant experience in the design and operation of LEED buildings, utilizing ergonomics early in a proactive fashion ensures occupant needs are identified and addressed effectively. Provide ergonomics education and training to all users upon installation. 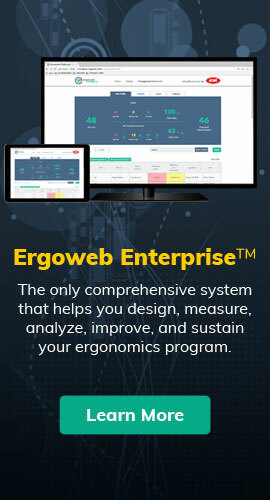 This is an exciting time for the field of ergonomics. Outside agencies are acknowledging the value of ergonomics in the design and operation of green buildings/projects by recognizing it as a credit. The link is being made between ergonomics and sustainability. For more information on the credit, refer to Pilot Credit 44LEED Pilot Credit Library http://www.usgbc.org/ShowFile.aspx?DocumentID=10097. Baum, M. 2007. Green Building Research Funding: An Assessment of Current Activity in the United States. U.S. Green Building Council. Canadian Green Building Council. (2010). LEED Canada for new construction and major renovations 2009 and LEED Canada for core and shell development 2009 rating system.Canadian Green Building Council. CaGBC (n.d..). LEED project profiles. Retrieved on March 28, 2012 from http://www.cagbc.org/Content/NavigationMenu/Programs/LEED/ProjectProfilesandStats/default.htm. Hancock, T, (2002). Indicators of environmental health in the urban setting. Canadian Journal of Public Health, 39, 45-51. Institute of Medicine (IOM). (2011). Climate Change, the Indoor Environment, and Health. Washington, DC: The National Academies Press. and Built Environmental, 18(4), 293-300. Romm, J.J. 1994. Lean and Clean Management. Srinivasan, S. O’Fallon, L. and Dearry, A. (2003). Creating healthy communities, healthy homes, healthy people: Initiating a research agenda on the built environment and public health. American Journal of Public Health, 93 (9), 1446-1450. USGBC (n.d.) LEED project profiles. Retrieved on March 28, 2012 from http://www.usgbc.org/LEED/Project/CertifiedProjectList.aspx. USGBC (2012). Pilot Credit 44 – Ergonomics Strategy. LEED Pilot Credit Library. Retrieved from http://www.usgbc.org/ShowFile.aspx?DocumentID=10097. Linda Miller ([email protected]) is a Board Certified Ergonomist operating a consultancy in Edmonton, Alberta, Canada. She is currently working on her doctoral degree at Boston University in Occupational Therapy researching how ergonomics can be incorporated into the LEED rating system to improve occupant health, satisfaction and performance. Lucy Hart ([email protected]) is a Board Certified Ergonomist working for the Global Group as an ergonomist. She is also the Chair of the BIFMA Ergonomics subcommittee and an adhoc member of USGBC Occupant Experience working group. This article originally appeared in The Ergonomics Report™ on 2012-04-25.